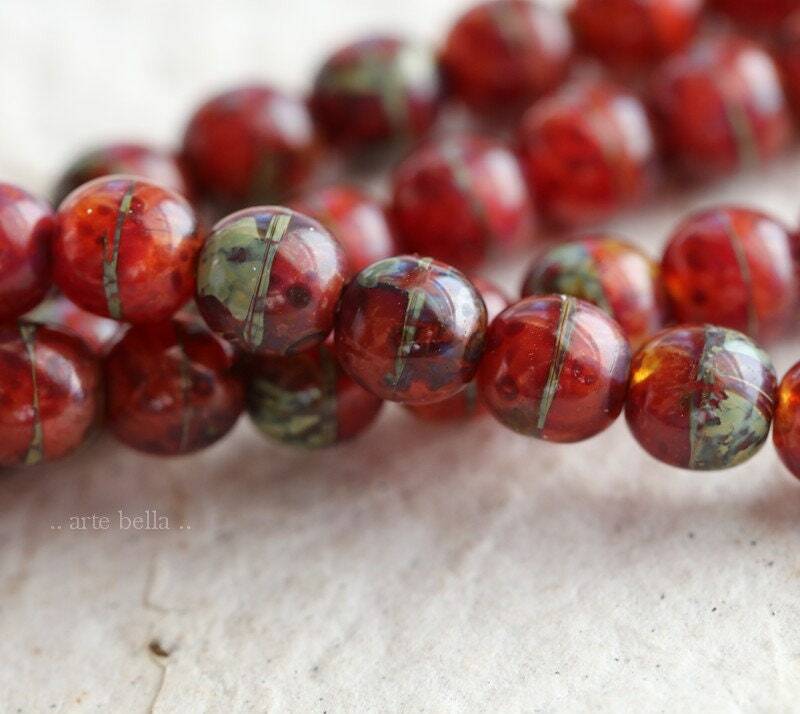 A mix of red and orange glass with a glossy earthy Picasso finish. 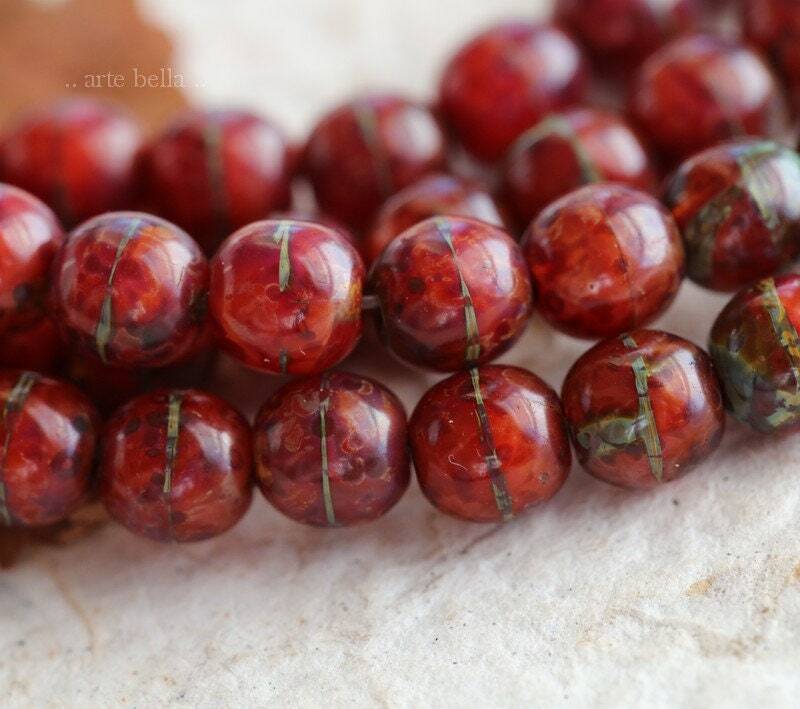 Happy to have more of these-helped me to have more confidence using red in my jewelry. 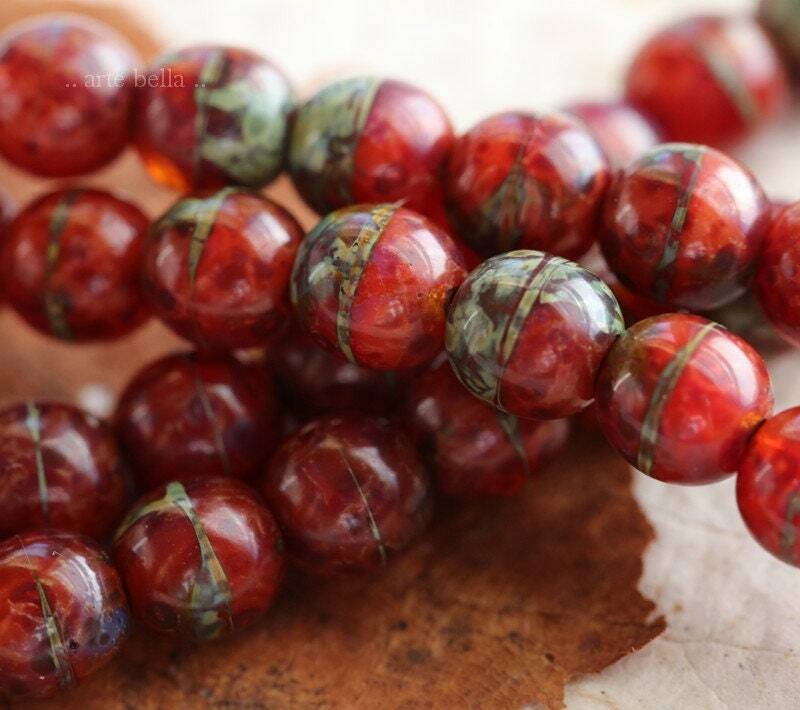 Look great with natural stone beads too. Delicious deep red color. Wish I could find more. Love these! They have so much detail for their small size and are really unique! Always such fun to see what’s in the shop! Great selection! 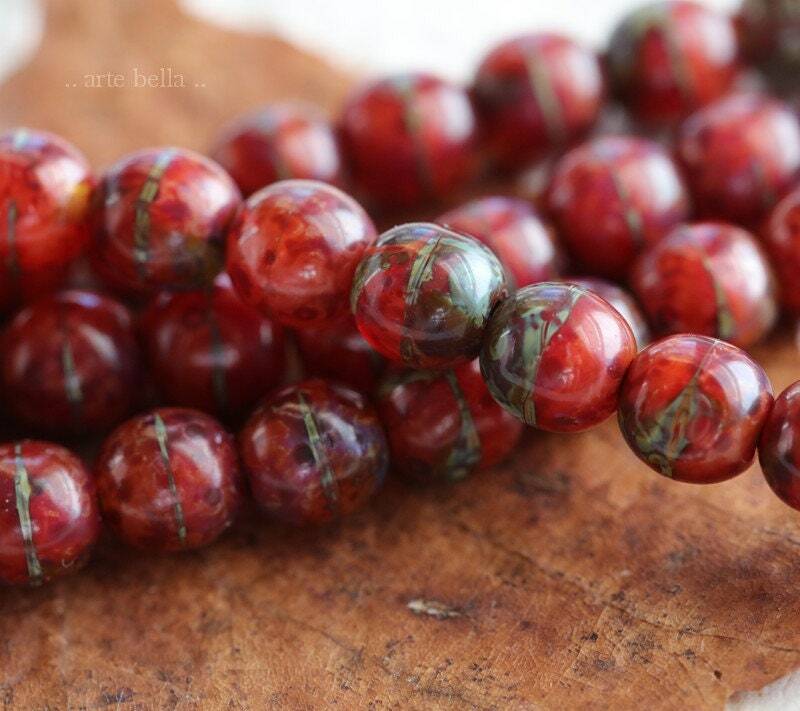 Beautiful beads! 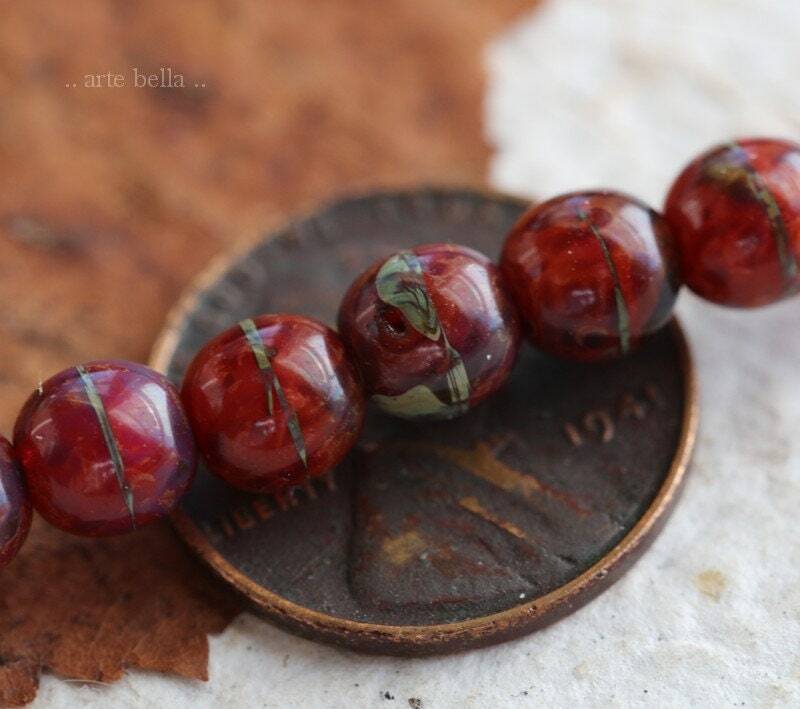 Ya know I looked at these beads and looked but then thought ok Ill get them...They are beautiful...Love em!! !Great service no problems...Going to order more!!! Thanks!! !